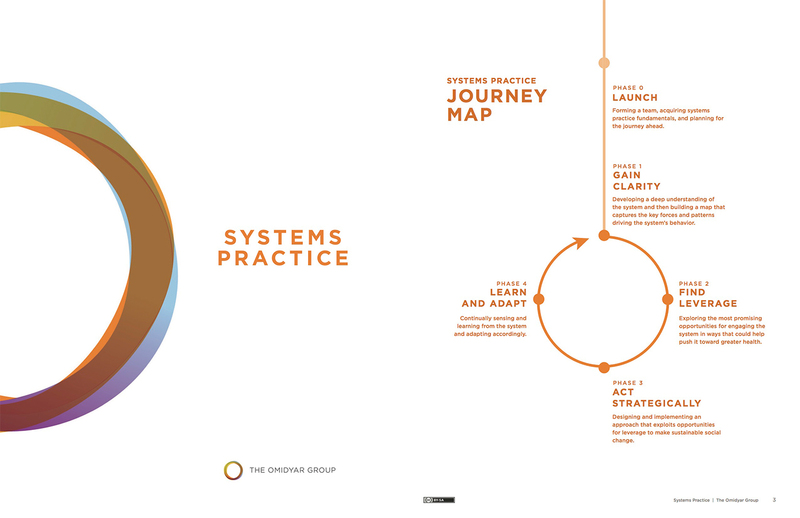 Are you working with the Systems Practice workbook, either through the +Acumen course or directly with The Omidyar Group? If so, you&apos;re in the right place. This guide provides a step-by-step approach on how to use Kumu alongside a systems practice. If you don&apos;t already have a Kumu account, sign up for one by visiting https://kumu.io/join. Once you&apos;ve created an account, visit your dashboard and create a new project. Since you&apos;re building a system map, make sure to choose the "system" template. If you&apos;d like to collaborate on your map with other team members, open your map and then use the menu icon in the upper left corner to access the project settings. Click on the MEMBERS section, then add an email address to invite someone to collaborate. If that person already has a Kumu account, they&apos;ll immediately get access. If not, we&apos;ll send an invitation asking them to sign up for Kumu, then we&apos;ll automatically add their new account to the project. Try clicking on the first option, Add element, to create a new element. Kumu will prompt you to give the element a label and press the enter key on your keyboard. Voila! You&apos;ve added your first element. Add a few more elements, then try selecting Add connection from that menu to connect your elements. Once you have a few connections, you can select Add loop to create a group of connections. Tip: Speed up this process by using keyboard shortcuts! Press E to add an element, C to add a connection, and L to add a loop. Or, hold alt on your keyboard, the click the map to add an element. Hold alt and click-and-drag from an element to create a connection. If you&apos;re building your map by hand, you should definitely give sketch mode a try! Click the green button and select Sketch to activated sketch mode. Once sketch mode is activated, you can add an element by clicking anywhere on the map, and you can add a connection by clicking and dragging from an existing element. Quickly enter sketch mode by pressing K on your keyboard, and press the esc key to exit. While in sketch mode, you can move elements by holding the alt key on your keyboard, then clicking and dragging the element. To indicate the causality of a connection, first click on the connection so that the profile appears on the left side of your screen. You&apos;ll see a placeholder at the top that says "add connection type". Click that placeholder, then choose which of the above best represents the causality of the connection. You&apos;ll then see the corresponding "+" or "-" appear at the ends of the connection. You&apos;ll continue adding elements and connections until you have one or more loops. It can be helpful to explicitly name the loops you are building by adding a loop label. To add a loop label, click the green button and then choose "add loop". You then need to click on each connection that is part of the loop, then add a loop label, and finally hit enter. Now if you click on the loop label, you&apos;ll see a profile for the loop show up on the left hand side. Use this to include a narrative of the dynamics of the loop. What should I use as a loop label? We recommend using a combination of "R" or "B" (for reinforcing and balancing) plus a short label for the dynamic at play (R: Trust in Government) and even a numerical label if that further helps differentiate your loops (R15: Trust in Government). Made a mistake or need to edit the loop? To edit an existing loop, click on the loop label and then click the edit icon . You can then click connections to add/remove them from the loop. You can click and drag any element to move its location. You can also change the curvature of a connection by clicking and dragging the middle of the connection. If you want to move just the loop label, simply click and drag the label. If you&apos;d like to move the loop label along with all the elements and connections in that loop, hold alt or option on your keyboard, then click and drag the label. Kumu makes it easy to add additional information about each element, connection, and loop using the profile. Use this field to indicate which elements, connections, and loops fall into each of the above categories. 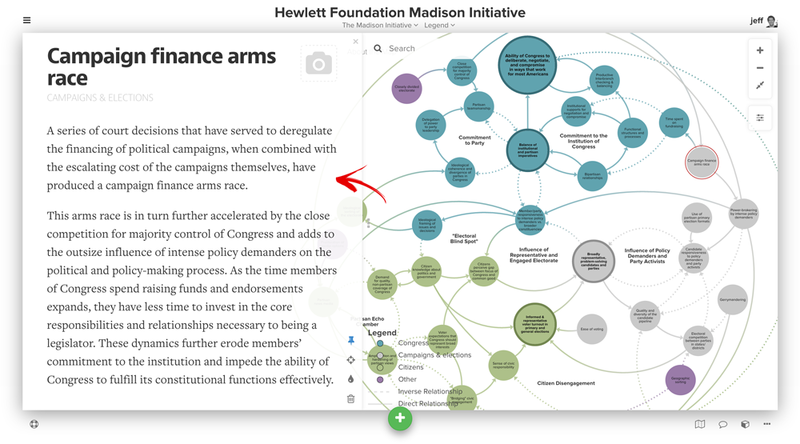 It can be helpful to have more than just a few works explaining what each factor is on your map. Add a definition of the factor and try linking out to other websites and sources that contain more information about that factor. You&apos;ll see a dashed rectangle towards the top of the profile for an element. Click where it says "add description" and then type in your definition and paste in any relevant links. Looking to track more information about each element, connection or loop? You can easily add a new field by clicking the "+ New Field" button in the profile of any element, connection or loop. 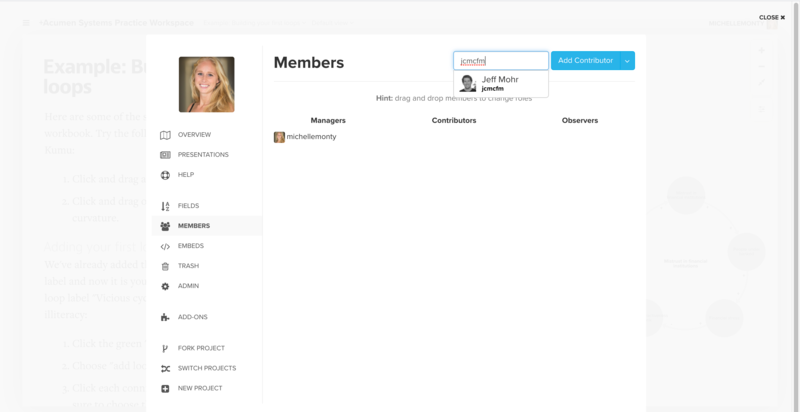 For example, you might add a "Stakeholder working on this area" field and use that to list the relevant people and organizations working on a given element, connection, or loop. Once you&apos;ve added additional background and context using the profile, you can then bring that context to life by creating decorations based on the values you&apos;ve saved to the profile. Let&apos;s run through an example to color-code elements by the values in their leverage analysis field. Next to Color by, use the dropdown to select "leverage analysis"
And you&apos;re done! All elements will now be be marked with colored arcs, and each colored arc represents one of the different options in your leverage analysis field. To learn how to create different element decorations, how to decorate connections, how to decorate specific groups of elements, and more, be sure to check out our full guide on decorations. Great work so far—you&apos;ve created a project, started building your first map, and even added decorations to liven things up. But as you expand your map with more information, you will probably want to view different slices of the information at different times, so you can tell a story without overwhelming your map readers. You&apos;ve worked through Kumu&apos;s guide for Systems Practice—nice job! For additional help, you can browse our other guides, join our open Slack team, or email us at support@kumu.io.